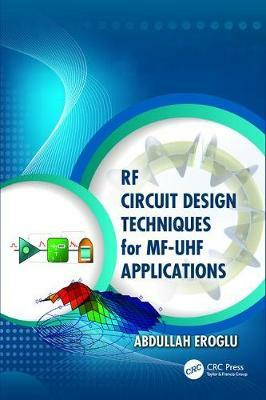 After a review of network parameters used in the analysis of RF components and devices, the book examines MF-UHF design techniques in detail. These include techniques for designing high-power microstrip circuits, directional couplers, transformers, composite and multilayer inductors, filters, combiners/dividers, and RFID systems. For every device, the book gives the required theory and then explains the verification process with CAD tools. In addition, each design is illustrated with real-life implementation examples that use a variety of CAD tools such as MATLAB ®, Mathcad, HFSS ™, Ansoft Designer ®, Sonnet ®, and PSpice ®. Design tables, curves, and charts are included to demonstrate an efficient design process. Throughout, the book also offers practical hints to help engineers shorten the design time. "Throughout, the book contains practical methods to help designers reduce design time. It is an outstanding resource for RF component designers in the MF and UHF range and for engineering students interested in RF design and theory. It reflects the best design methodology used in RF engineering available today, from the application of theory to modeling for verification, optimization, and experimentation. It is filled with useful methods, tips, and techniques and will be an invaluable reference book for those working in the MF and UHF field."